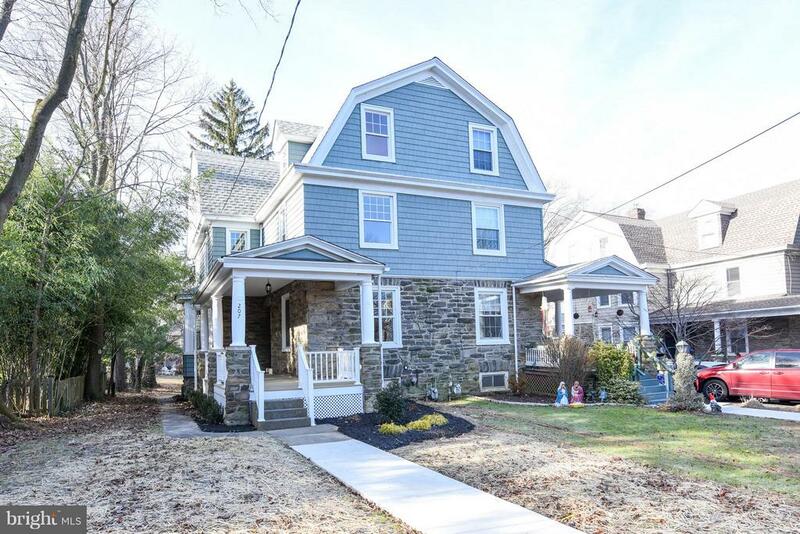 All Jenkintown homes currently listed for sale in Jenkintown as of 04/21/2019 are shown below. You can change the search criteria at any time by pressing the 'Change Search' button below. If you have any questions or you would like more information about any Jenkintown homes for sale or other Jenkintown real estate, please contact us and one of our knowledgeable Jenkintown REALTORS® would be pleased to assist you. "Introducing this one of a kind custom built home located on picturesque grounds in the heart of Meadowbrook. Enter through over-sized double doors to a grand 2 story Foyer with a turned staircase leading to the attic & turned staircase leading to the Lower Level. The attic could easily be converted into bedrooms & bathrooms. Hardwood floors are throughout the First Level. Walk through an arched doorway to a formal Dining Room w/ a dramatic over-sized doorway to the Living Room. The 2 story sunlit Living Room features 20 ft ceilings, a floor to ceiling double sided stone fireplace, two sets of french doors to the deck & a wall of windows overlooking the beautiful manicured grounds. The gourmet Kitchen features the other side of the stone fireplace, arched doorways, tile back-splash, custom cabinets w/ granite counters, custom refrigerator & freezer & an island w/ sink & wine refrigerator. Enter to the partial covered deck w/ a ceiling fan & high hats through one of two doors from the Kitchen. This Kitchen would impress any chef w/ its abundance of counter space & a spacious Breakfast Room w/ walls of windows, cathedral ceiling & plantation shutters. The Laundry Room has tile floors, cabinets, granite counters, & a closet w/ built-ins. Across from the Laundry Room is an large Pantry w/ large window, shelves & drawers. The First Floor Master Suite is truly breathtaking w/ a stone fireplace, radiant floors, cathedral ceiling, two sets of french doors to deck, a sitting room, three walk-in closets w/ custom built-ins & 2 full Baths w/ many upgrades. Completing this level is a Powder Room, two additional entrances to the outside & an inside access to the oversized three Car Garage w/ tile floor. On the right side of the home is a set of stairs to an in-law or au-pair suite. This space features a Family Room area, full Bathroom, lots of closets & Bedroom. This area just needs a few items to make it complete. From the Foyer, walk down the turned staircase to the Lower Level"
"Nowhere in Rydal will you find a 5,000+/-sq ft estate home sitting on 7.79 acres! Homes like this are quite rare in this prestige neighborhood. This gem is one of the last large ~estate homes w/ acreage~ with the ability to have horses if you desire. 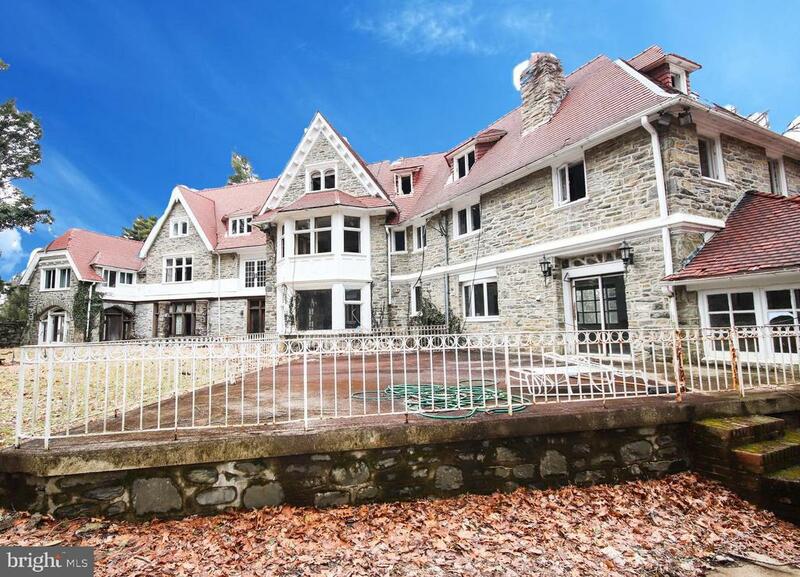 Referred to as Playwickey, this manor sits high above the valley for total privacy. If you love nature, space and a quiet environment, this home is for you! Surrounding Playwickey are lots of lush wooded grounds leading down to a majestic water fall, ponds, streams complete with a wooded cabin for storage or what your imagination decides. These grounds are large enough to keep horses without moving to Bucks County!The possibilities with this home are endless. If you have vision and the desire to update this beauty you will have many years of happiness here. Close to the city, airport and shopping, you will love this location. This elegant English Tudor with high ceilings, timeless woodwork, and hardwood floors offer 7 bedrooms,5 full bath and 2 half bath options, 5 fireplaces, formal sitting rooms, dining areas, living/family rooms and a sun porch. Additionally, the property has a carriage house with 4 car garage, 2 additional bedroom spaces and a full bath with its own heating system which was replaced a few years ago. With imagination and the desire to customize this blank canvas, your new home awaits you. Come and take a tour so you don't miss this rare opportunity." "Built in 1924, this ~Bella of the Ball~ 10,000 sq. ft estate is truly stunning! Once entering through the impressive stately stone columns, this private driveway will lead you onto 3 acres of pristine grounds surrounded by gardens, patios, a putting green and lush mature trees. This unique estate has 2 full circular driveways, one for your guests and the other for your private entry. Next to the homeowner~s private drive is a massive 3 car attached garage with private entry into the home. Truly an impressive home with its stunning interior wood work flowing from the main grand foyer leading beyond into the hallways and second floor. The family library not only has tremendous natural lighting with spectacular views to the grounds but has floor to ceiling wood work with glass cabinets to protect those treasured items. Among the many fireplaces in this story book home you will enjoy plenty of natural light with gorgeous windows throughout. You will love the massive kitchen, year round sun porch, 5+ bedrooms, 6+ full baths, 2 half baths, grand living room, full carriage house/guest house, 3 stories, incredible storage and closet space. The dining room can seat 30 guests! Among all that grandness, there is a walk out basement area, central air on the 2nd and 3rd floors (new in summer 2018), 7 fireplaces (some gas, some wood) and a full in ground pool that was open and serviced professionally in the summer of 2018. 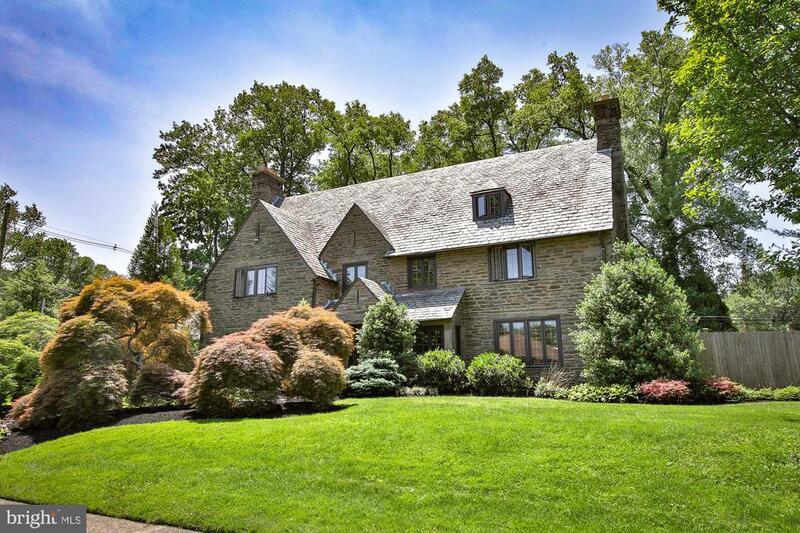 Your main line estate home located in Meadowbrook awaits you! This home has not been on the market for 40 years! Call me for your personal tour." "Absolutely breathtaking stone home on 1.63 acre lot PLUS 4 additional 1+ acre lots, totally 5.83 acres. Picturesque Setting. Property is zoned for livestock, so bring along your horse to enjoy the acreage. One of very few remaining properties to offer this possibility. 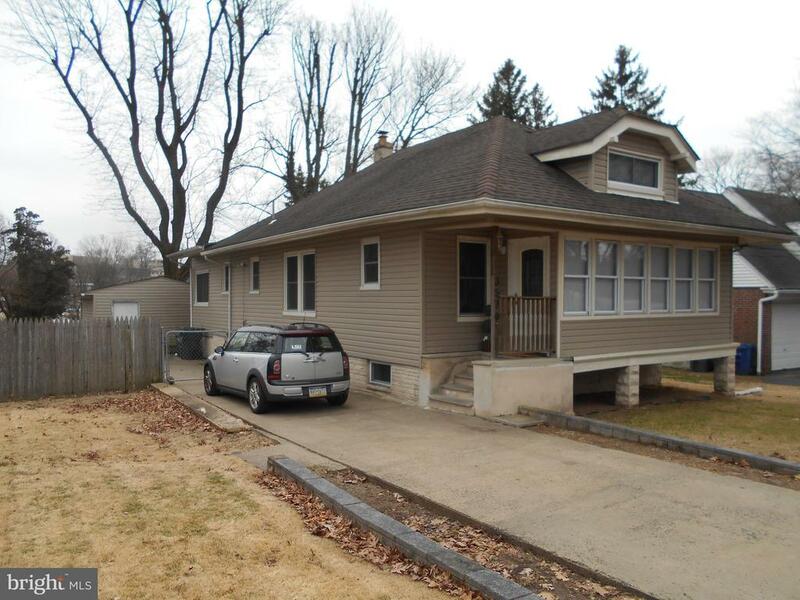 Existing home on 1 lot needs a complete remodel or can be demolished for new construction. 4 Additional 1+ acre pre-approved lots available. 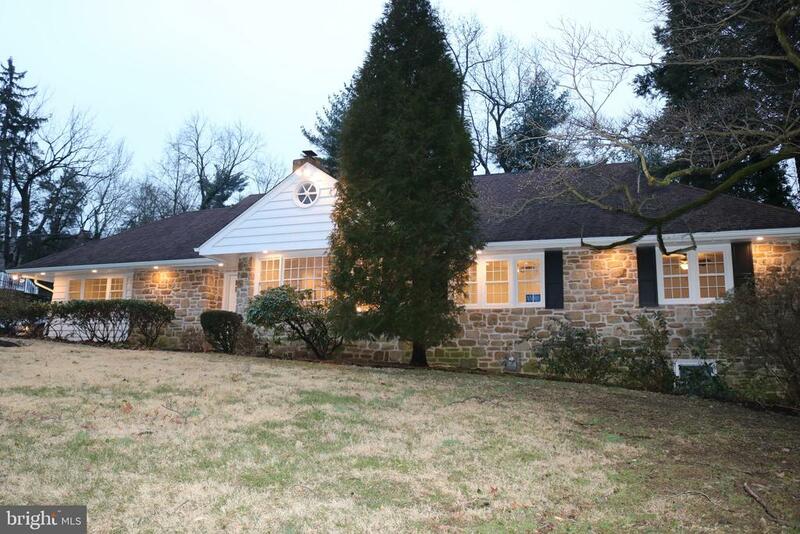 Rare opportunity to build your dream home in the highly desirable Rydal neighborhood of Jenkintown. Amazing schools, minutes to Whole Foods, Train Station and Abington Hospital. 5 lots total!Gas, Water and Sewer lines were just redone on Susquehanna and Lindsay Lane. $799K price for entire 5.83 acres and home." "Welcome home to this fabulous new construction house in desirable Jenkintown location just a short walk to train and commercial district along Old York Road.No expense spared at this high quality architect designed home.This 4 BR/3.5 BA premier quality, high design home features a thoughtfully designed floor plan perfect for today's livingEnter into a formal entry foyer with lovely gas fireplace. Spacious guest suite which is currently used as a home office.Ascend to the fabulous open-concept living floor with soaring ceilings modeled after a home in the Hamptons. A true chef's Eat-in kitchen with massive island with gorgeous black leathered granite island perfect for entertaining or daily casual dining. High-end appliances including range cook top with hood, double ovens, French door refrigerator, contemporary marble back splash and gorgeous custom shaker cabinetry with great storage.Open dining room with lovely ship lap feature wall and huge windows with incredible natural light..Spacious living room with gas fireplace with ship lap surround, sliding glass doors opening to rear balcony overlooking yard and charming older neighborhood houses. Lovely carrara marble powder room.Upstairs features 3 BR's and 2 full bathrooms. Huge Master suite with large Master BR with sliding glass doors, walk-in closet, and en-suite bathroom including double vanity plus fabulous spa-like European wet room with shower plus free standing soaking tub. 2 additional spacious BR's plus hall bathroom and laundry room complete this floor.Optional finished lower level for additional living space for media room/home gym/play room/home office. Over sized attached 2 car garage. These homes are built with top quality building materials. 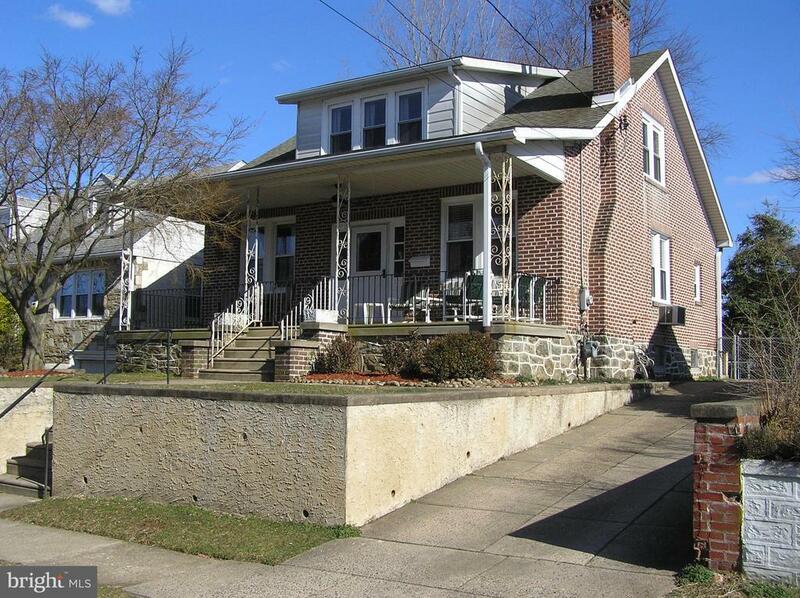 Short walk to train and commercial corridor and top Jenkintown schools. Easy access to Center City Philadelphia, the suburbs and major highways. Truly exceptional." "Welcome home to this fabulous new construction house in desirable Jenkintown location just a short walk to train and commercial district along Old York Road.No expense spared at this high quality architect designed home.This 4 BR/3.5 BA premier quality, high design home features a thoughtfully designed floor plan perfect for today's livingEnter into a formal entry foyer with lovely gas fireplace. Spacious guest suite which is currently used as a home office.Ascend to the fabulous open-concept living floor with soaring ceilings modeled after a home in the Hamptons. A true chef's Eat-in kitchen with massive island with gorgeous black leathered granite island perfect for entertaining or daily casual dining. High-end appliances including range cook top with hood, double ovens, French door refrigerator, contemporary marble back splash and gorgeous custom shaker cabinetry with great storage.Open dining room with lovely ship lap feature wall and huge windows with incredible natural light..Spacious living room with gas fireplace with ship lap surround, sliding glass doors opening to rear balcony overlooking yard and charming older neighborhood houses. Lovely carrara marble powder room.Upstairs features 3 BR's and 2 full bathrooms. Huge Master suite with large Master BR with sliding glass doors, walk-in closet, and en-suite bathroom including double vanity plus fabulous spa-like European wet room with shower plus free standing soaking tub.2 additional spacious BR's plus hall bathroom and laundry room complete this floor.Optional finished lower level for additional living space for media room/home gym/play room/home office. Over sized attached 2 car garage. These homes are built with top quality building materials. 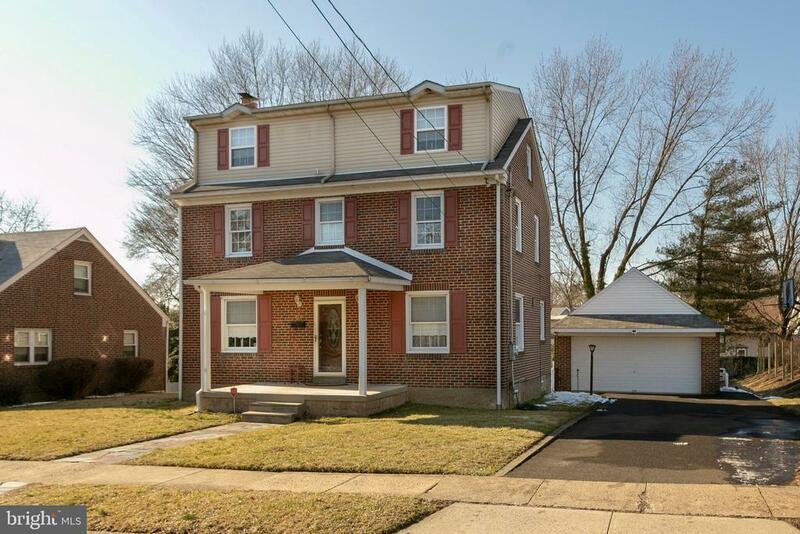 Short walk to train and commercial corridor and top Jenkintown schools. Easy access to Center City Philadelphia, the suburbs and major highways. Truly exceptional." "Don't miss this timeless Tudor-style home in Rydal! Built in 1930, the thoughtfully updated estate offers five bedrooms, three and a half bathrooms, and an impressive 5,700 square feet of living space. The home is full of period details such as moldings and paneling, hand-carved fire place mantles, and beamed ceilings. The kitchen has stainless steel double ovens and double dishwashers. Off the formal dining room, through the original wrought iron gate, sits a cool sunroom with vaulted ceilings, stone walls and oversized windows. The fenced-in backyard has a gorgeous saltwater swimming pool surrounded by a stone patio and manicured landscaping." "Location, Style and Value! Welcome home to this completely remodeled Cape-style dream home in Rydal. Experience the luxury as you immediately notice the spacious living room upon entering. Manage your business from home with this quaint office with built-in shelving or simply close the French doors from some peaceful reading! Engineered hardwood throughout the first floor lead you to the open kitchen with seated peninsula. Quartz counter tops, quiet-closing cabinets and stainless steel appliances with drawer microwave will be your new palate to create culinary magic in your newly styled kitchen. Entertain guests by the fireplace casually or host a fancy dinner in your formal dinning room just off the kitchen. Down the hall you'll find the the Master and an additional bedroom. No expense was spared in the master bathroom as the floors are draped with Carrara Marble and showcasing modern cool grey tones. Accompanied by a tastefully appointed full bathroom, the 2nd floor offers two bedrooms that have been enhanced through the expansion of the roof with a dormer creating more space for a growing family. Take the party to the basement where you'll find a spacious carpeted gathering area aside a full finished wet-bar with waterproof flooring. The basement space offers a half bathroom and an ample entertaining area along with two separate storage rooms. Sq Ft is 3,813 as per architect measurements." "Look at this beauty~gracious and spacious! 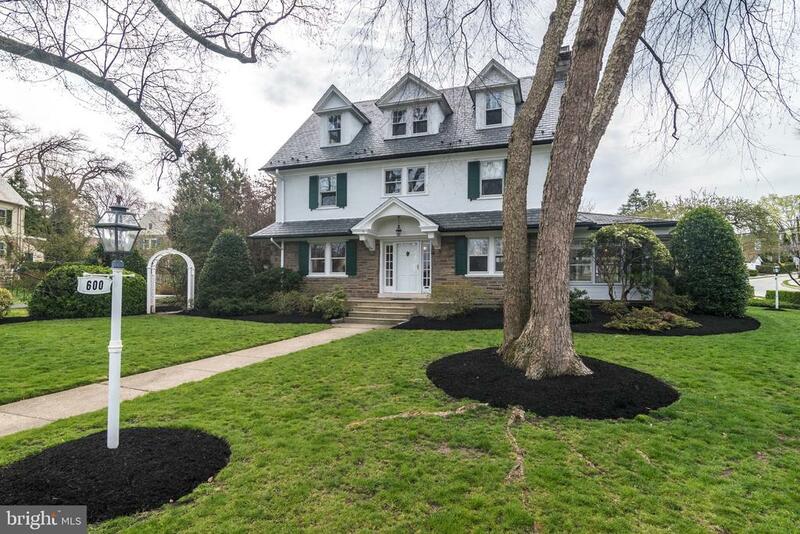 This classic Jenkintown Borough Center Hall Colonial has been worth the wait. Situated on a lovely corner of a very desirable street in a beautiful neighborhood, this home has been lovingly maintained and is very bright and airy with many fine details throughout~large living room with a gorgeous stone wood-burning fireplace, formal dining room with two built-in corner china cabinets, family room, crown moldings, stunning hardwood floors, five bedrooms/three full bathrooms/two powder rooms, large master bedroom with en suite bath, many freshly painted rooms, incredible closets throughout, oversized two car garage, walk-out basement, and the list goes on and on. The outdoor living is at its best, as well, with the spacious backyard and charming flagstone patio with a retractable awning~it is picture perfect for outdoor entertaining with family and friends. 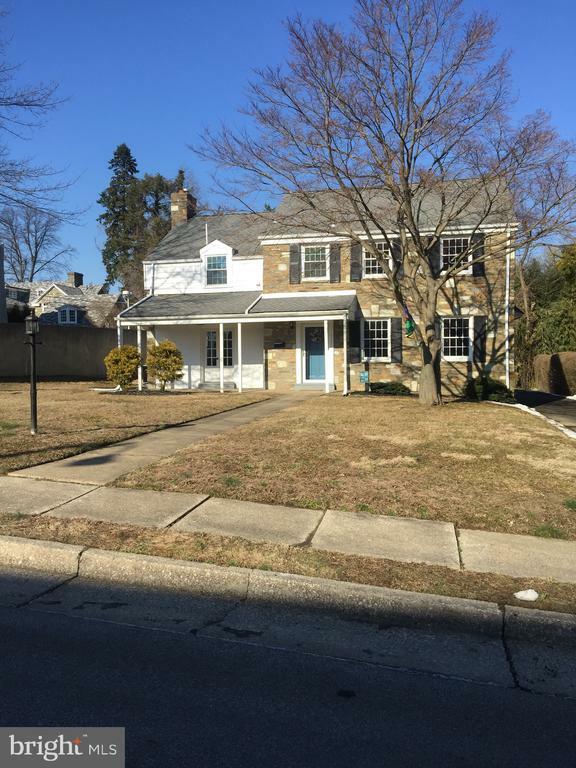 Only a number of short blocks to the very desired Jenkintown Train Station, the award-winning Jenkintown Schools, and the exciting shopping and restaurant district, this location could not be more ideal. Enjoy this gracious and spacious beauty! Easy to show...call for an appointment." "Here is an opportunity to own a piece of history. Built during a time when true craftsmen labored for month's on end perfecting their craft. 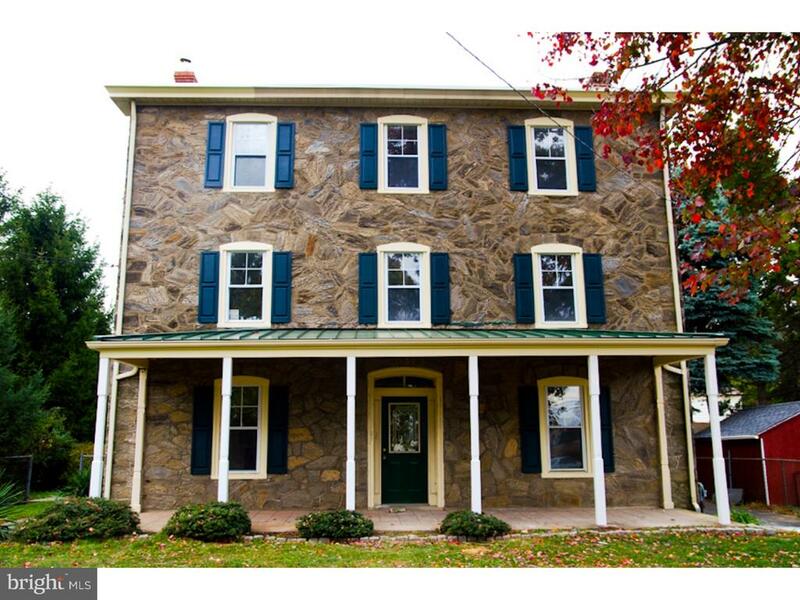 This magnificent, stone colonial has character and charm at every turn. 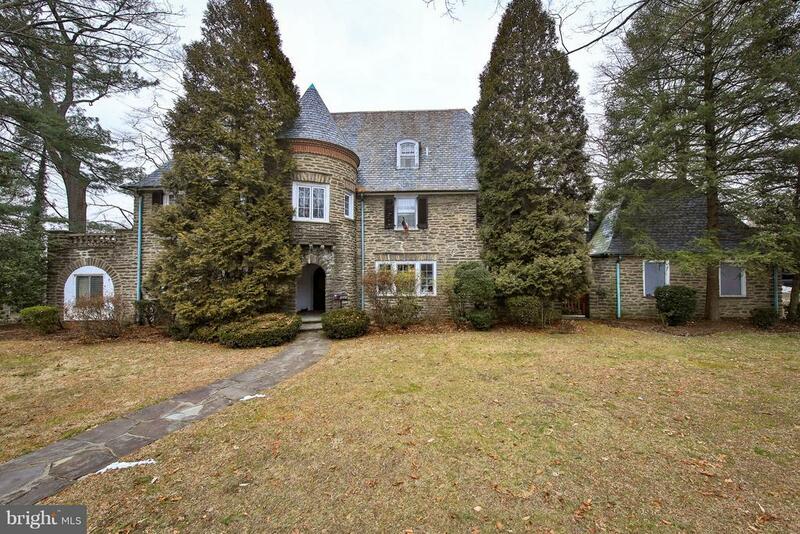 The stone turret marks an exceptional architectural marvel, not often seen in today's real estate. The hardwood, moldings and in-lays are true character pieces as well. With your finishing touches, this home truly has possibility for an incredible upside. Once you come tour this amazing opportunity, you will see the potential it truly has. There master bedroom has its own second floor patio to enjoy the grounds and peaceful surroundings. The finished basement is huge and the amount of work and detail that went into it, is astounding. The basement also has central air. The spacious secondary rooms have hardwood flooring under the carpeting. Centrally located within a short distance to the train, Whole Foods, Trader Joe's and Target, all the creature comforts are close at hand. There is some deferred maintenance but wait until you see the bones and possibilities here." "Welcome to 417 Vernon Rd, this stately tudor style home features 4 bedrooms, 3 full baths and 2 half baths. The entry foyer greets you with a turned staircase and 2 story ceiling, formal living and dining rooms, gourmet kitchen with granite counters, bright & cheery breakfast room overlooking the family room with a brick fireplace. Additional rooms on the first floor include a 3 season sun room, In-Law suite complete with private bath and a spacious laundry room. The second floor has the master bedroom with sitting area and 2 large walk-in closets, hall bath and 2 additional spacious bedrooms. Hardwood floors are in many areas throughout the house. Built with Old World Charm, the exterior features stone, stucco and brick while the interior has comfort features like 4 zone heating and central air. 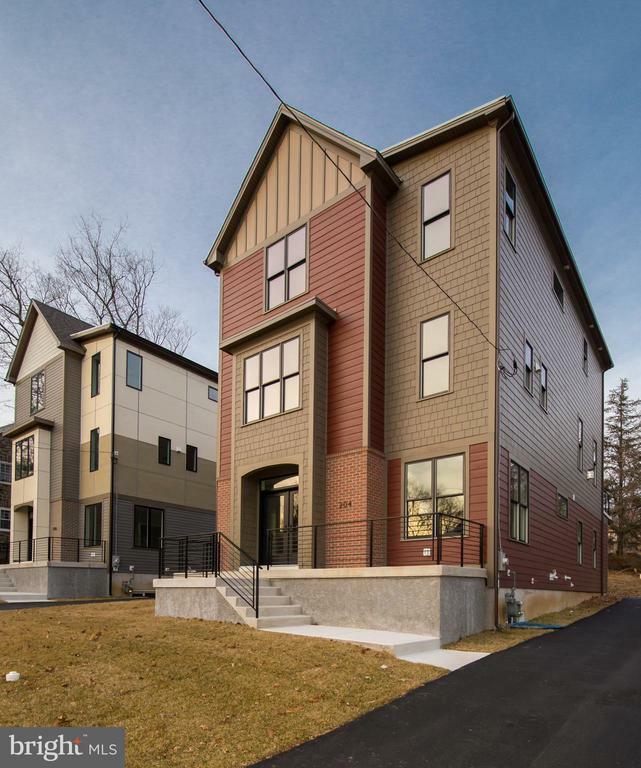 Additional living space is provided with an expansive finished basement complete with outside exit and half bath. Outdoor living is complemented with a beautiful deck made of maintenance free synthetic materials overlooking a picturesque park like back yard. This home also features an attached 3 car garage. 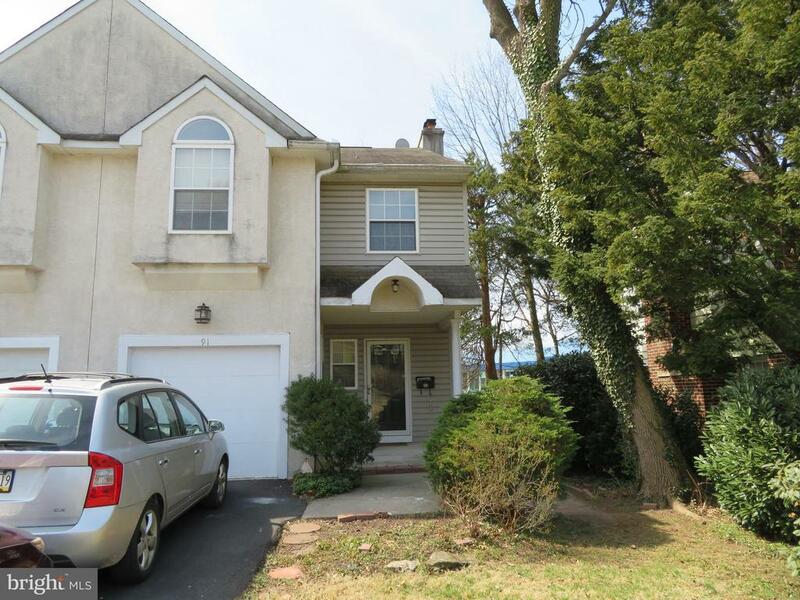 Don't miss this opportunity to find your perfect dream home that's located within walking distance to the Abington Friends school, the Jenkintown town center and train to Philly." "Welcome Home! 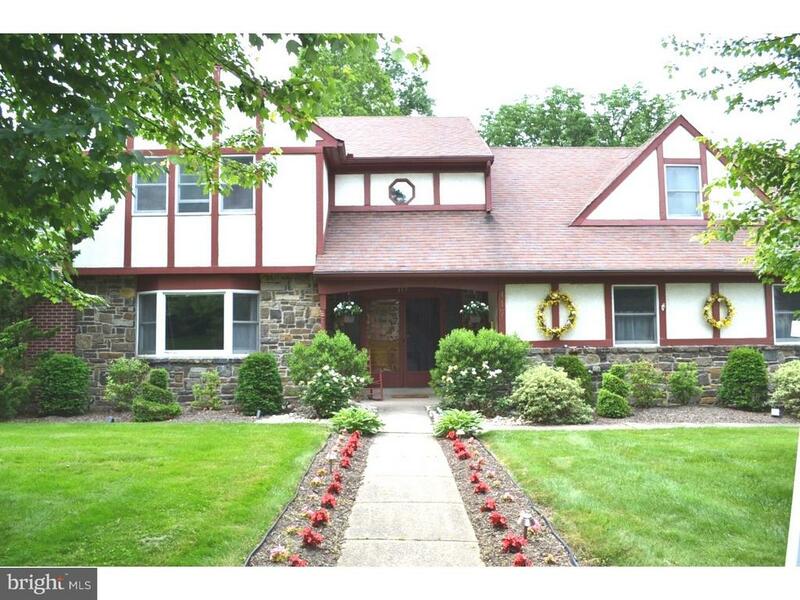 Spacious, well-maintained 4 bedroom, 2 .5 bath in prestigious Meadowbrook in the Abington School District. Being sold by the original owner, the pride of ownership is apparent. This home was purchased from the builder as the sample home and has is larger model than the rest of the neighborhood. Situated on a corner lot, this tucked away split-level features an updated kitchen and original hardwood floors throughout the main floor and bedrooms. Foyer entry opens to a large living room with a wood burning fireplace, built-in book shelves and large pane front window. The dining room offers bright sunlight and access to the deck for your morning cup of coffee. The upstairs has four nice-sized bedrooms with ample closet space. One bedroom features newer neutral carpeting. Watch television or relax in the lower level family room which includes a wer bar, half bath and exits to the covered patio and driveway. Laundry and inside access to the 2 car garage complete this level. In the finished basement, find additional space for storage or an office. Entertain rain or shine with the covered patio. Lovely side yard and backyard with mature trees. Terrific property with unlimited potential. Won't last long on the market!" 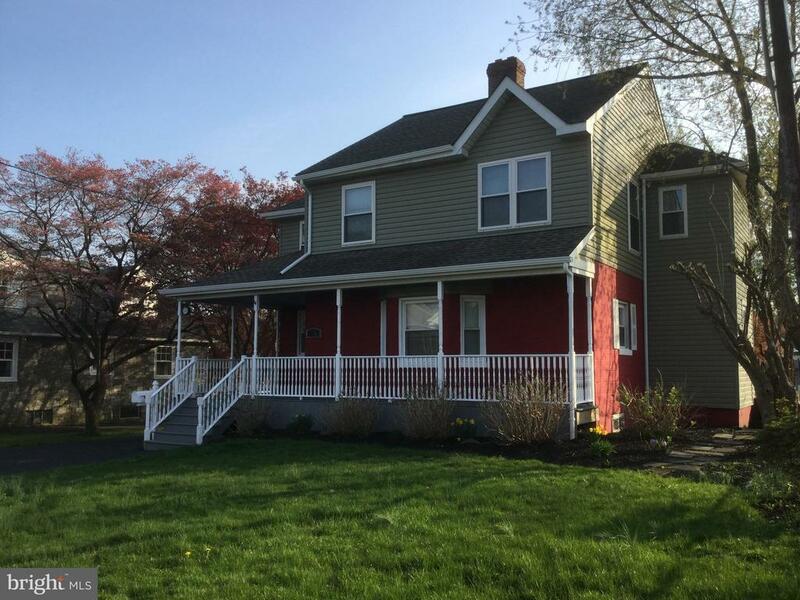 "Welcome to this immaculate 5 Bedroom, 2.5 Bath traditional Colonial with a 3rd floor addition! The welcoming front porch takes you to the center Foyer entryway bringing you to a circular flow of a nice-sized bright formal Living Room featuring a working fireplace. The newer large eat-in Kitchen has plenty of cabinet space and sliding glass doors leading to a spacious trex deck overlooking the beautiful backyard, creating a great space for outside entertaining. The formal Dining Room is perfect for hosting holiday meals. Walk upstairs to the Master Bedroom, 2 additional Bedrooms and a full Bath with both a stall shower and a tub. The 3rd floor features spacious Bedrooms with tons of closet space and a full Bathroom. The finished walkout Basement is split into to 2 nice-sized rooms and a half Bath. Completing this home is a large 2 Car Garage with a 3 car driveway for easy parking. This home is located in the borough of Rockledge, which offers historical landmarks, public transportation, shopping, restaurants and much more! Move-In Ready - Call Today!" "Attention: Lovers of history! A very special house awaits a very special owner. 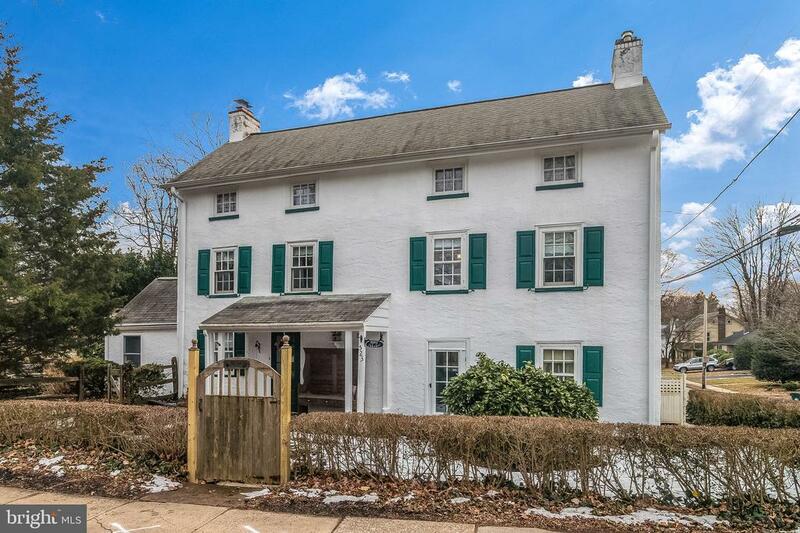 This 1780 Farmhouse is known by many as the oldest, and most beautiful, home in Jenkintown. Local lore claims that it was a stop on the Underground Railroad. 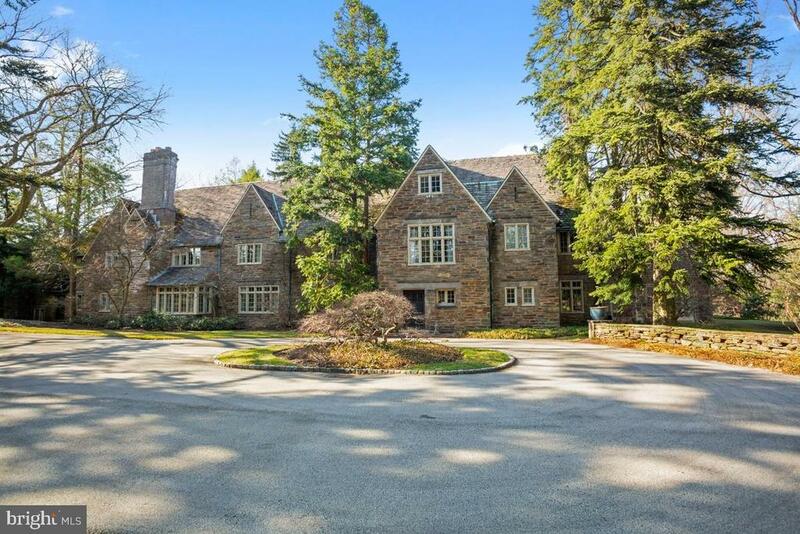 It was originally part of the Baeder Estate and later the Wanamaker Estate. The Kitchen is large, with beamed ceilings, soapstone counters, tile backsplash, dishwasher and garbage disposal. Previous owners added a convenient laundry room and powder room to this space. A door from the kitchen area leads to the beautiful back and side yards, with 2 patios and a lovely pergola for easy outdoor entertaining. The Formal Dining Room boasts an original walk-in fireplace (non-operable), beamed ceilings and beautiful built-ins. The formal living room features another fireplace (non-operable) surrounded by built-ins, and has doors to the front of the house and the Sun Room addition. The Sun Room features soaring beamed ceilings, a wood stove, and exit to the side yard. The second level includes the large master bedroom with fireplace (non-operable) and 2 closets, 2 additional cozy bedrooms and a full bath. The third floor makes a perfect guest suite with a large bedroom, a small bedroom and a very large partial bath that can easily be converted to a full bath. Additional home features include an attached one-car garage, central air conditioning, newer furnace (2010), replacement windows, newer storm doors, newer appliances and much much more! Enjoy the convenience of the 21st century and the romance of the past in this beautiful dwelling. Jenkintown Boro is a lovely walkable community located just outside of Philadelphia, near major highways, shopping, dining, and the Jenkintown Train Station. Owner had sidewalks inspected by the boro and had large sections of the sidewalk professionally replaced to satisfy boro requirements. Owner has also had the sewer pipes inspected and certified as per boro requirements. 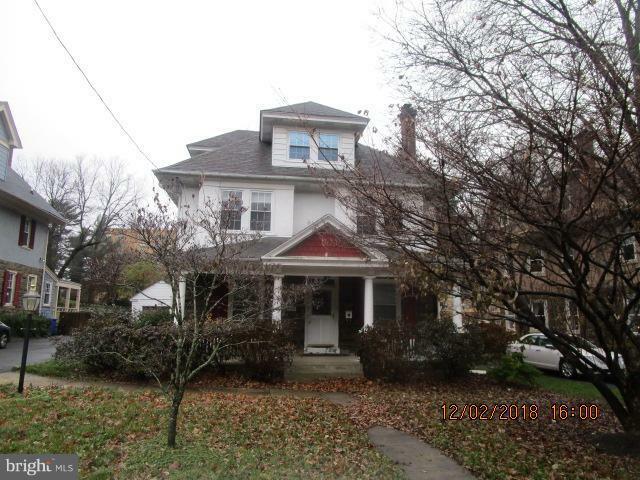 **Owner is incl"
"Large, 2.5 story, 6 bedroom, 2.5 bath, porch front, Colonial style single with detached garage. This home features hardwood floors on the 1st floor, living room with fireplace, formal dining room, modern eat in kitchen with stainless steel appliances, powder room and laundry room all on the 1st floor. 2nd floor includes the master bedroom, 3 additional bedrooms and full bath. There are two more bedrooms on the 3rd floor with a full bath. Large basement, nice sized rear yard and central air. Wonderful charm and original characteristics." "All that you wanted and more than you expected is what you will find in this old world charmer with updated appeal. You will be engaged the moment you reach the curb. This home has been renovated inside and out, top to bottom and includes thoughtful color choices and accents. The amount of work and attention that it took to put the home in its current immaculate condition is beyond description. For example, the foyer is sizable and a great place for a cubby station for foot gear, outer wear, etc, however, it needed much attention to bring it to its current form. Portions of the original hardwood flooring have been transitioned with newer flooring to provide interesting and appealing spaces. There is no 'rolling' or bumpiness to the lines. Everything is clean, straight and polished. To the left of the entry is the dining room and nearby powder room with pocket door. Lots of attention was given to making sure that the door provided the practicality of privacy without sacrificing the character. The living room features a wood-burning fireplace and window storage. This is where the second set of new windows was installed. Any old trim was discarded and new material was utilized. The kitchen is completely upgraded with granite counter tops, laminate flooring, tile backsplash, six-burner stove, stainless steel appliance package and recessed lighting. There was a lot to line the bottom of the dumpster with while this portion of the home was being renewed. Access to the deck and yard is found here. It was possible to leave the deck in its basic condition, but a new coat of paint has transformed it completely. The basement is fully finished and divided into two sections. The original unfinished space was gritty, like most basements are, however, there isn't a speck of roughness left now that the work is complete. There is a walkout exit, second powder room, decorative fireplace and a ledge that is suitable for extra seating, if needed. The upstairs includes a large main bedr"
"Welcome to 1529 Noble Road.This home was originally built as one of a three-of-a-kind with a unique Cape-Cod Style as part of the Rydal section of Abington Township. The current owner enlarged the 1st floor bedroom and bath to create a master bedroom suite with full bathroom and a powder room. It compliments two upstairs bedrooms and full bathroom. The unfinished, but spacious basement also allows for additional renovation by the next owners for added living space. Other features include, but not limited to, a rear deck, garden sprinkler system,spacious TV room, and three plus car parking with a garage. Please see Seller~s Property Disclosure for an extensive review of the property~s condition. Seller requires Settlement to be on or after June 30th.~"
"Welcome to 207 Walnut St! 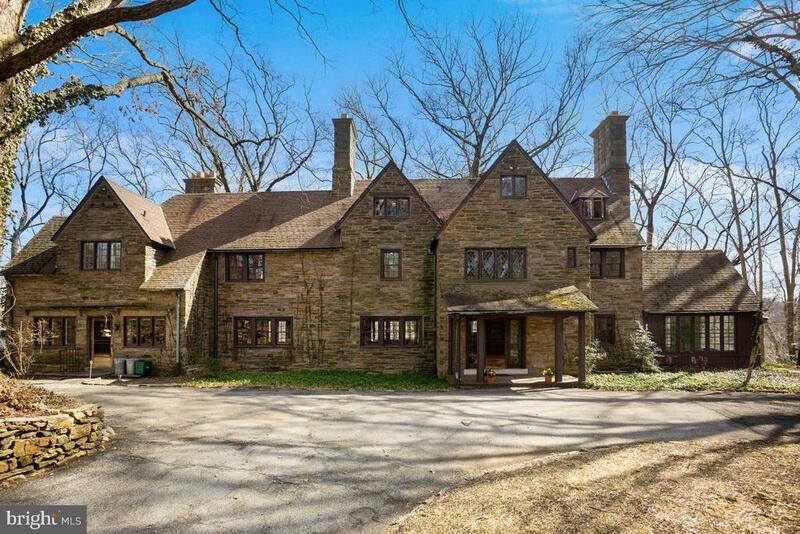 This huge old home has so much charm and character but is also full of new modern life! Just completed upgrades: all the original floors have been refinished, brand new kitchen, brand new bathrooms, new electrical system, brand new A/C system, and rebuilt front porch. All the outside is newer as well- roof, siding and windows. This home is a homerun!The large front porch welcomes you into this HUGE 2600 sq foot 5 bedroom, 2.5 bath home. The living room is light & bright, glass doors lead you into the very large dining room. The brand new kitchen with wood cabinets, granite counter tops, ceramic tile, brand new appliances is right off the dining room. A mud room, half bath and laundry hook up also complete the first floor.The second floor is 3 large bright bedrooms and a hall bath. The top floor is 2 more large bedrooms one with a walk in closet. 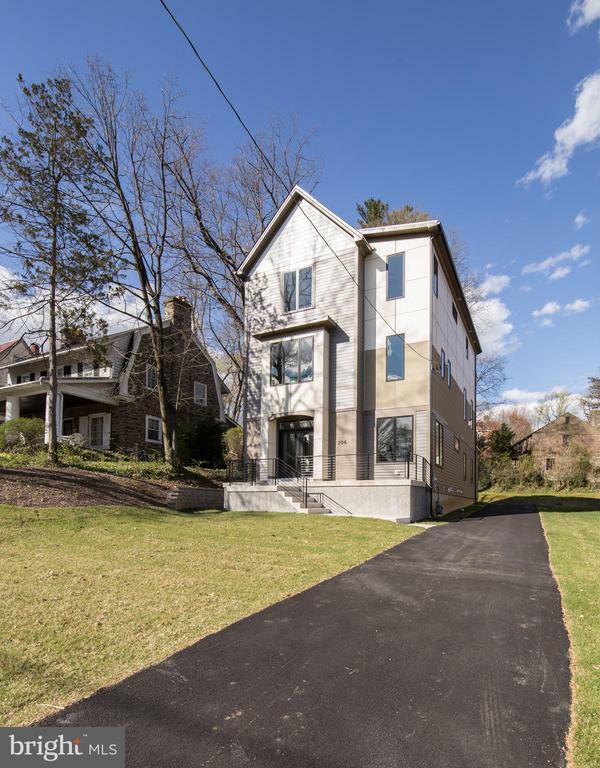 The hall bath has a claw foot tub, built in vanity and towel closet.This home is walkable to all Jenkintown schools, many restaurants, Hiway Theater, gyms, yoga, Septa trains, and much more. Close to all major roadways, Trader Joes, Whole Foods and major shopping centers.Do not miss this home!The home has no driveway, but the apron is already in place for an easy install!" "Beautiful single colonial in Jenkintown Abington Township totally renovated 2 years ago with 4 Bedrooms and 3 full and 1 half baths. Two of the bedrooms have on suite full baths setting up many possibilities including a in law suite. Owner has been transferred for work and this is the reason for selling. bring your clients and I assure you they will thank you"
"Welcome Home! Rare property tucked away in the heart of Meadowbrook, this 2,344 sq ft brick Home has all the characteristics that today~s savvy investor is looking for... At the price it is being sold as is. From updated kitchen with granite counter-tops with newer cabinets and appliances, to the open flow of the kitchen that leads straight into the dining room. If entertaining is important, this home provides, and this treasure boasts brand new windows throughout and a bonus/sun room addition off the dining/kitchen area. Fenced yard makes life a little easier with little ones and/or pets. All of this with central air & 2 car garage." "Behold! This one-of-a-kind 1890's colonial received a complete & total renovation. A grand 3 story, it combines turn-of-the-century charm with 21st century conveniences. Enter into the massive great room (33X17!) complete with NEW hardwood flooring, freshly refinished, a brick fireplace, and lots of huge windows. Pass through the great room into the huge dining room with a smartly picked light fixture, large window sills and plenty of room for your choice of extra large dining room table! From there you'll make your way into the kitchen, where you'll notice recently updated stainless steel appliances, Kraftmaid soft-close maple cabinets, tile floors, granite counters...and plenty of room for an island, breakfast table, whatever you choose! You'll also find a newly remodeled half bath on the first floor, don't miss it! Make your way up the oak staircase into the second level, where you'll find three HUGE bedrooms, each with thick, plush carpeting, lots of closet space, ceiling fans, and lots of windows! The master bedroom includes a tiled full bath with stall shower, and a furniture-grade vanity! Also you'll find a huge tiled hall bathroom, complete with tub & shower, and furniture-grade vanity ? plus lots of storage space! The entire home was recently painted in an all neutral palate, which really gives you the framework to make this beautiful home yours in every way! Even the huge walk-out basement is recently painted, and can easily be finished for more space. The large front covered porch and rear stone patio complement the beautiful grounds for your enjoyment. A huge newly -paved driveway and parking area, plus the fenced-in backyard, award-winning Abington Schools, the proximity to Jenkintown, regional rail, and all the shopping you can handle make this an absolute MUST SEE NOW! Don't wait! Matt Harnick, listing agent, is an owner of the property." "Rarely offered Rockledge Boro! 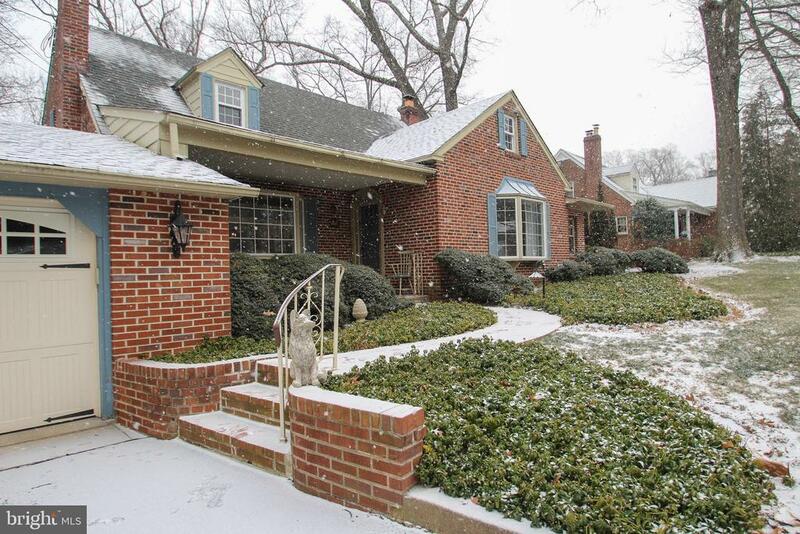 Upgraded 4 bedroom brick cape cod with a large, inviting, covered front porch. Many major ticket items have been replaced/remodeled in the last few years. Newer roof, newer kitchen, newer gas heater, newer water heater. Possibility of a 5TH bedroom on second level, area now being utilized as a den or sitting area. Long 3-4 car driveway. Large level back fenced yard. 200 amp electric service. Many vinyl replacement windows. Full bath on first and second levels, Living room with gas fireplace adds charm and character." "Rancher in great quiet location with 3 bedrooms on main floor and an additional bedroom on 2nd floor. Seller has replaced permanent steps with pull down ladder due to downsize. Staircase kept in storage and will reinstall if needed. Full basement, large lot. House well kept. See Photos; Make appt." "A contemporary twin , built in the 1990's, but ahead of it's time. You enter thru a vestibule and welcomed into a soaring cathedral ceiling in the living room with shining hardwood floors that open up to the dining area and kitchen. Light filled sliders open to a deck from the dining area and to a patio from the family room. Garage has direct access to the house without getting wet. Wood burning fireplace will add warmth to the holidays. Quartz counter tops in the kitchen means low maintenance. Master bedroom is complete with a walk-in closet and a double sink vanity in the master bath. Extra storage space in the basement for all the things we accumulate. 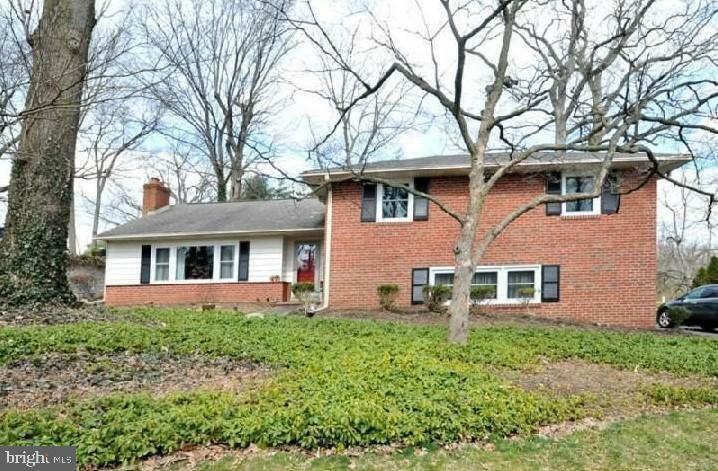 Easy walk to the train, shopping and other Jenkintown borough schools."